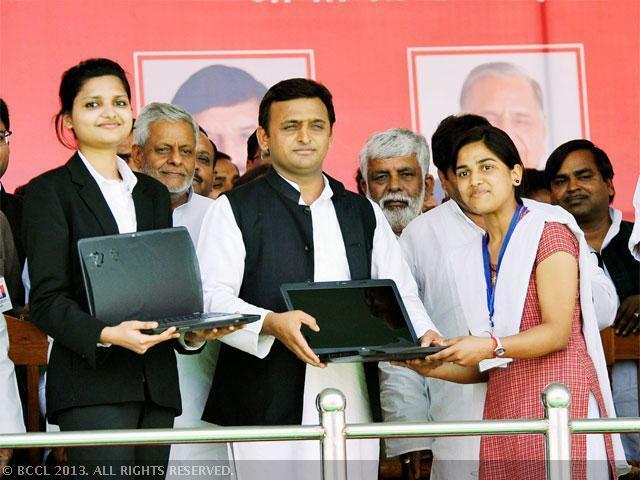 The Uttar Pradesh government has come up with a very unique scheme under which they provide free laptops and tablets to students. This scheme will help students in future. It will be provided to all the students that are eligible for this scheme by the state government. The laptop distribution process in UP is actually very slow right now. However, the students and the applicants are waiting in line. Now you too can register yourself and get started with obtaining the free laptops. Today’s education is heavily based on educational gadgets like these. Without them further education and landing good jobs is out of the question. Hence, this step taken by the government has been welcomed by the UP students. Am I eligible to obtain the free laptop? If you are a student and if you have recently taken the class 12 and class 10 exams then you are eligible. The good students are eligible to get free laptops under this scheme. Also, the other criterion is that the students will have to have passed class 12 from UP board. Lastly, the student should be a resident of Uttar Pradesh to get this benefit. This time the laptops are being given with some discretion unlike the last time. Hence there are some conditions and cut offs that have been released. If you quality these then only you will be able to get the benefits of this scheme. The cut off for the 2015 students of 12th class are 452 for unreserved and 423 for minorities. For the SC and ST the cut off are 432. The cut off for 2016 students who have passed 12th class are 456 for General caste, 440 for SC and ST and 432 for the minorities. This year the cut offs are slightly higher than last year. For 10th class the 2015 students have to fetch 531 marks if they are from general caste, 510 if they belong to minorities and 213 if they are SC/ST. In 2016 the requirements for the 10th class students are – 535, 516 and 520 for general, minorities and SC and ST respectively. This is the cut off. For those who are from the Board of Sanskrit government, the cut off for general and other communities have been fixed at 354 and 278 marks respectively. The students get motivated to study better to obtain this free laptop. It is also a very helpful gift as it can help the students study and achieve better. Every year a fixed date and time is announced during which the students are handed over the prizes for their exceptional results in board exams. How can students obtain this laptop? To obtain this laptop, students have to visit the official website of the state government and then download and read the instructions carefully. After reading, if they see that they have fulfilled all the criteria, they may go ahead and “apply online”. They will be asked to enter all the details which they have to enter and submit. After submitting it is necessary to take out a hard copy of the scheme and keep it for further reference. This is why they must make sure that they have their class 10th or 12th documents ready with them before they proceed. Keep the documents and mark sheet with you so that you can quickly add all the details required. Visit the official website link which is given below and then click on “search beneficiary” link. You can see this link at the corner of the page. Now you have to select the option of laptop or tablet. Since both are being provided, you have to select which one you want to obtain. Once you have selected, you will see that a new page has opened. On this page you will be asked to fill in some details. After entering everything here click on “proceed”. Once you have clicked that, the new page will show you that you have completed your registration successfully. Once that is shown, check your email. You should have got a confirmation mail. Are tablets also being given? Under the same scheme, the students can now also obtain tablets. Earlier it was announced that the girls will receive cycles. But the government has announced that tablets will be distributed since they are more in line with the education of students. To obtain a laptop or a tablet you have to select which one you want on the official website and find out the one that suits your requirements. To know if you have qualified, you have to check the website regularly. Usually it takes up to 2 to 3 days to update the details of the students who have qualified. How to check if I have qualified? To know if you have qualified, you will have to keep an eye on the website. As soon as the list gets published, you will have to download it and check it to see if your name is there. If you do have your name, then you are eligible for the scheme. Sometimes the schools also distribute this list. You can find out if such a list has been submitted at your school. More information about this year’s fixed time and date is yet to be announced. This scheme will help ore and more students to bring good marks in board exams so that they can get the benefits. It is an excellent policy by the state government to educate the students and to motivate them to fair well in exams.